When Genealogists and Geneticists Meet! Staying abreast of the trends in genealogy can be daunting, but is definitely necessary for the serious family historian or professional genealogist. I attended a wonderful informative seminar Red Flags in Your Medical Family History,” hosted at the Midwest Genealogy Center in Independence, MO. The presenters, Debra Collins, MS, CGC and Julie Broski were from the University of Kansas Medical Center, in Kansas City. Although I have a rudimentary understanding of the topic, I walked away with a few vital pointers. The Surgeon General, in cooperation with other agencies, has launched the Surgeon General's Family History Initiative to encourage all American families to learn more about their family health history. 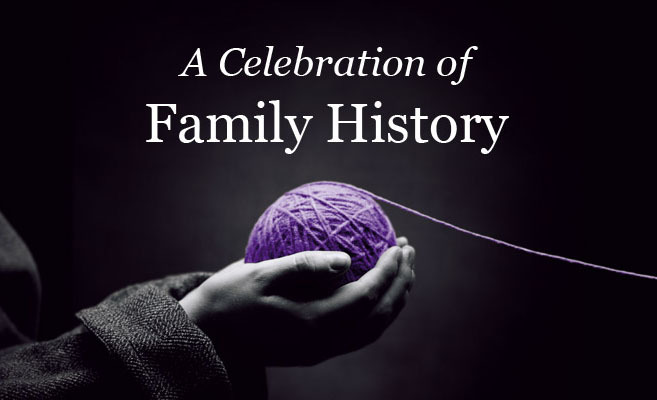 Thanksgiving has been declared National Family History Day, allowing for updates and information to be shared at an annual family gathering. 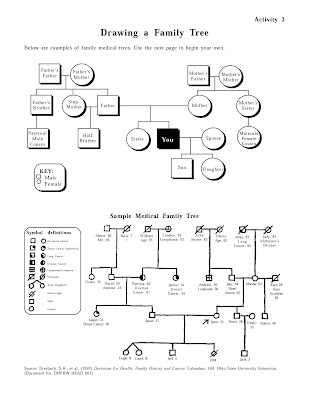 “Medical Genealogy is the practice of tracing and recording family health patterns that are unique to your family (hopefully to include three generations) in order for the family practitioner to analyze. Although genealogists and family historians are quite talented, we don’t want to cross the lines of diagnosing based on family history, or predicting life spans or early deaths based on information and patterns. No excuses…even if the evidence points to this, doesn’t mean you will be memorializing Uncle Charlie on his 58th birthday. Our job is to recognize patterns and document them. As a community, we can begin by gathering family data and creating a helpful family health tree. 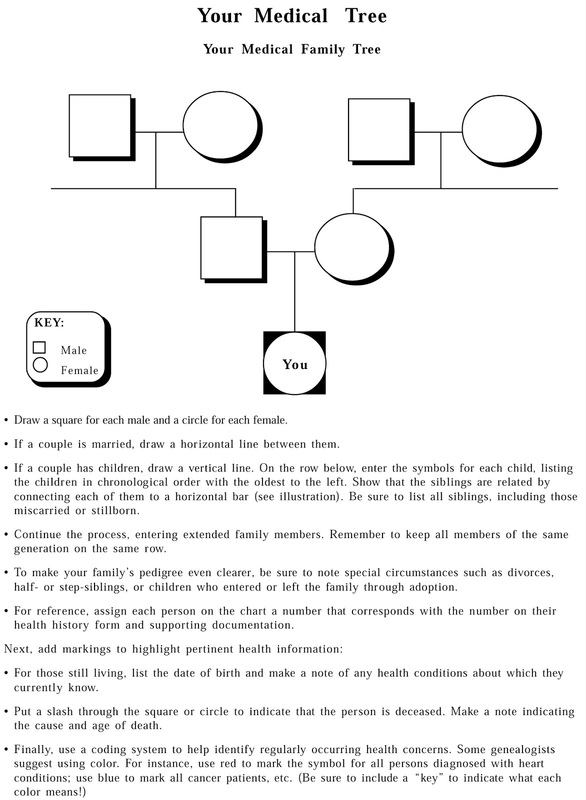 What is a Family Health Tree? 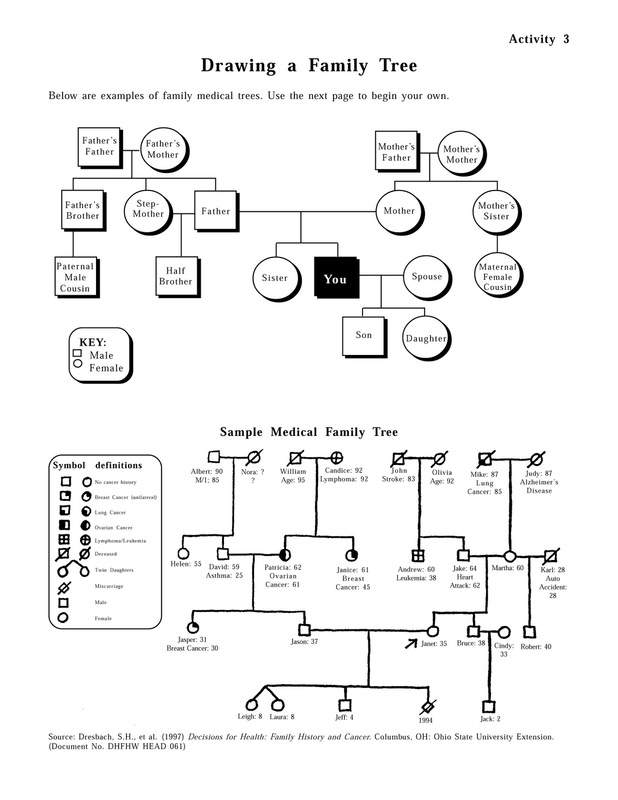 However, I prefer an At-a-Glance Medical Tree. Once you’ve gathered your data/information, by following the symbols that are defined (or add some of your own), this tree can be a breeze, and useful to the entire family. 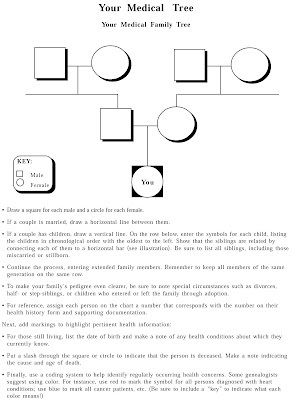 The Information needed to complete a “family health tree” is probably in your files. Take a close look at the cause of death on death certificates or obituaries. Review medical records - we often get a copy of veteran medical records. Take note of patterns: premature deaths, infertility patterns in women, birth defect patterns (I have seen some noted on census records), sibling patterns of illnesses, etc. In the end you should have a tree completed like the one above. I personally think it will be a work in progress, but it can be useful and your family and doctor will appreciate the work. Happy National Family History Day! Looking for your Greek ancestors may be a challenge due to religious persecutions, migrations, wars, and more wars. Oh, and let’s not leave out the name changing thing that happens on the long voyage from the homeland to America. Although the voyage seems to encourage this bit of creativity, sometimes the American soil empowers our ancestors to live as pull-a-name-out-of-the-hat kind of people; making it practically impossible to trace them. But don’t give up until you have looked in every crevice for hints and records. Let’s pick up after you have gone back as far as you are willing to research and you have the “basic records” in hand. Basics would include: census records, obituaries, death certificates, military records, birth, baptism, and death records of children Now, it’s time to start your Hellenic Dig. Remember the 1920 and 1930 census records give you hints on immigration and naturalization. Please note I didn’t say they were accurate, but let’s start there for our excavating of Hellenic records. Why Hellenic and not Greek? Hellenic - pertaining to, or characteristic of the ancient Greeks or their language, culture, thought, etc., esp. before the time of Alexander the Great. Of course after Alexander the Great things changed, but the old culture is still considered Hellenic (purist!). Keep in mind that you are searching all things Greek/Hellenic. The Ellis Island Foundation online database (free) is a great place to start. But don’t limit yourself. Be sure to widen your search to include Greek neighbors that may have traveled with your ancestors (census records may hold a clue). And, be certain to use spelling variations. Don’t forget the Castle of Gardens passenger records also. 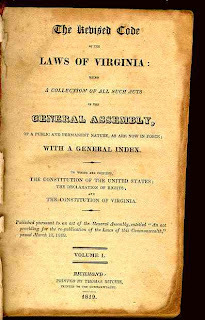 The ideal thing would be to find passenger records, and go straight to the Declaration of Intent and Naturalization records. 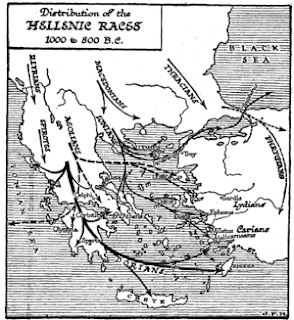 Voila, you have all the information you need on your ancestor’s Hellenic background. Final naturalization papers may also hold the Oath of Allegiance with their legal name change, along with family and birth information. Then off to Greece you go. Back to reality. Your ancestor may have never been naturalized, they may have assumed a new last name using the pull-a-name-out-of-the-hat method, or they may have traveled under an alias name for some unknown reason. Your ancestor may have recorded as having a Turkey, Asia Minor, or Serbian birth, even though they were Greek. (This is another blog on history of the region). They may have adopted their baptism date as a birth date; and then again, they may not have known their birth date, so it varied with the stages if the moon. Cynical yes, but you get the point. So in our realistic world, you may need to complete a few more steps before coming back to this one. Social security applications may or may not help. But if nothing else, these applications often can verify parents names, birth places (a big key), and even an address which may guide you to parishioners information or local Hellenic Society for further assistance. There are so many hints buried in this forgotten genealogical treasure. I often hear that pulling voter’s registration applications are a waste of time and sometimes money. But actually, this may be of more assistance than you think when looking for an immigrant. 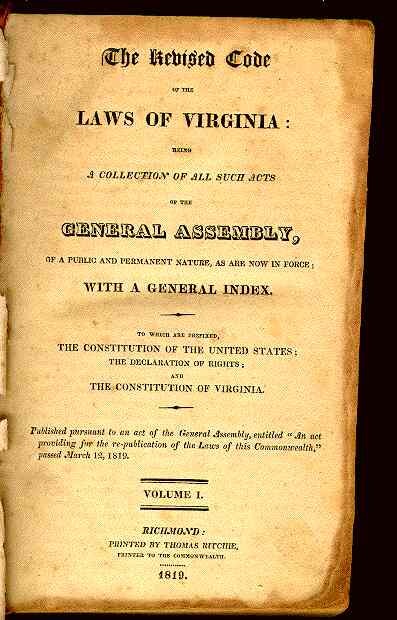 Know that if your ancestor was a registered voter, he was also a citizen of the USA. Often their immigration and naturalization information is embedded on the application. This may be necessary, to get to the actual Naturalization petition. It used to be easier to get copies of passport applications, but with all of the heighten security, the USCIS (formerly INS) takes a while to fulfill requests. But it’s worth the wait, if your ancestor ever applied for a passport. Passport applications may be the link to the naturalization number of your ancestor, or state restrictions, if an alien. Be sure to scour every line and entry of this form. It may be the key to #2-Naturalization Papers. Beginning a Greek Genealogical Search in the U.S.